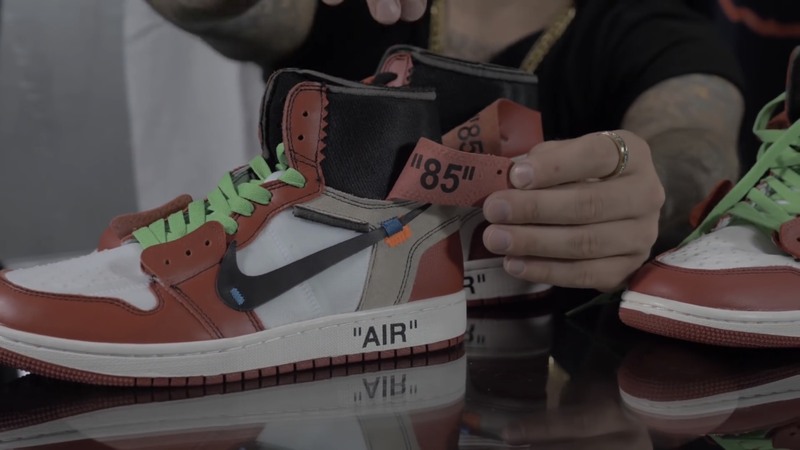 Nike’s collaboration with Off-White is no stranger in the streetwear, even to commoners. ‘The Ten’ collection definitely changed the landscape of the sneaker scene, making Nike the preferred brand after the recent Adidas Boost madness. 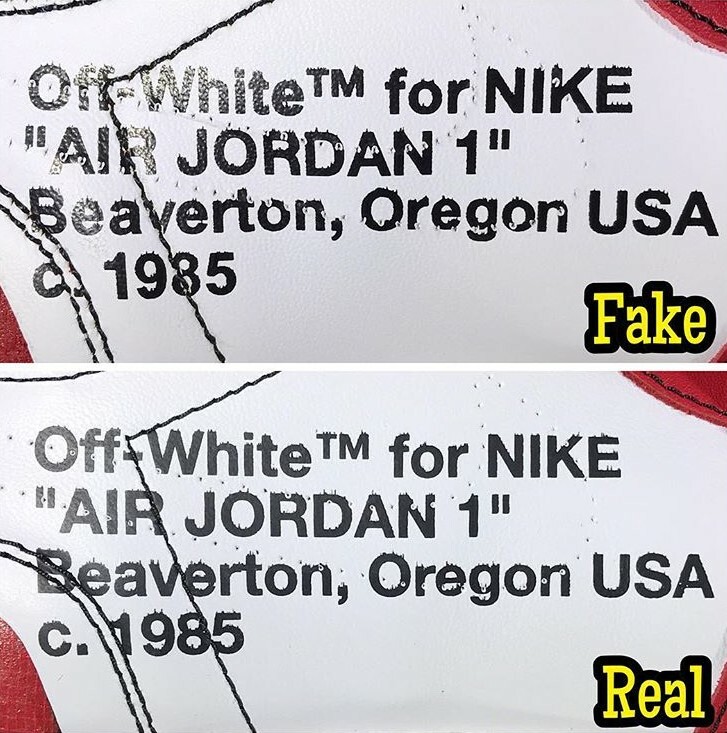 The demand for Nike’s collaboration with Off-White is so overwhelming such that the manufacturers in China have developed fakes which are so close to the authentic pairs, causing many sneakerheads and commoners to fall into scams by resellers who are looking to make quick cash. 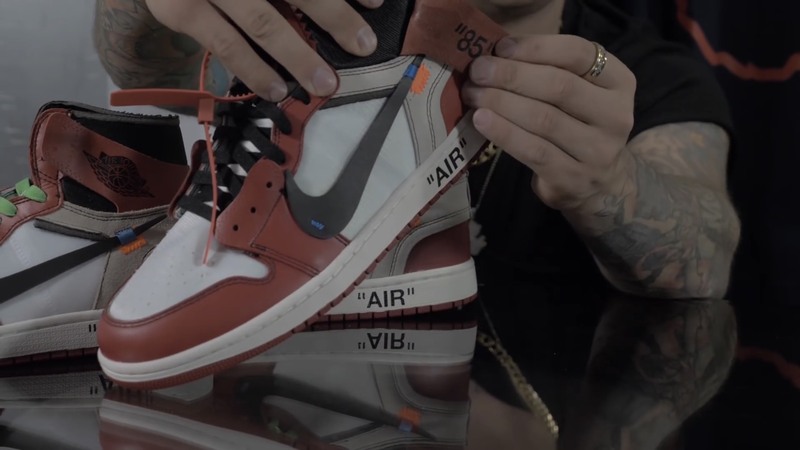 Today, we will be sharing with you what to look out for when it comes to legit checking one of the most coveted pairs in ‘The Ten’ collection, the Air Jordan 1 x Off-White. Based on the photo below, you should look out for the consistency of the font and the glossiness of the ‘AIR JORDAN’. The retail pair has a more consistent font size and has a cleaner print with a matte finish while the fakes have a glossy finishing. 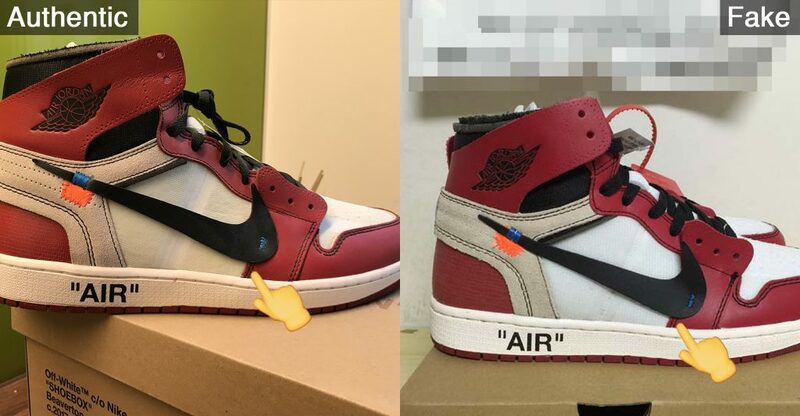 Another part to look out is the wings itself, where the retail pair is equally distributed and does not combine each other, while on the fakes, some of the wings are attached to each other (check 1, 2, 3 and 4 from photo 2). The perforations on the flap of the retail pair is nicely punctured while the fakes only have perforations that are half done (sort of). For this part, the “AIR” branding on the retail pair has a matte finish and is placed right in the middle between the stitching on the midsole and the outsole, while the fakes have a glossy finish to the “AIR” branding and are placed nearer to the outsole. The “USA” text on the inner side of the retail pair has a matte finishing and does not have a clean print and if you are wondering what are we talking about, the font looks like it’s slightly smudged upwards. 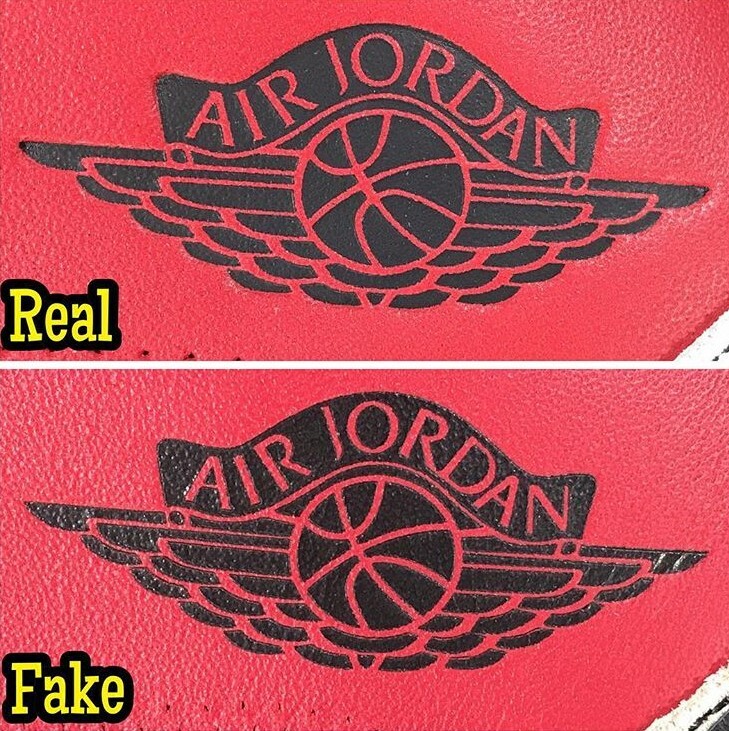 The fakes have a glossy finishing on the “USA” text and are printed more consistently compared to the authentic pair. If you guys have not realized, there is an “85” branding behind the side flaps. This part is crucial as this is often used to determine whether the pair is authentic or not. As you may observe from photo 5 and photo 6, the font is different from the real pair and the fake pair. Another thing you should take note of is the indented shape of the Wings logo as you may observe in photo 7. The indented shape can almost be considered a dead giveaway as it is a clear mark that separates the authentic and fake pairs. 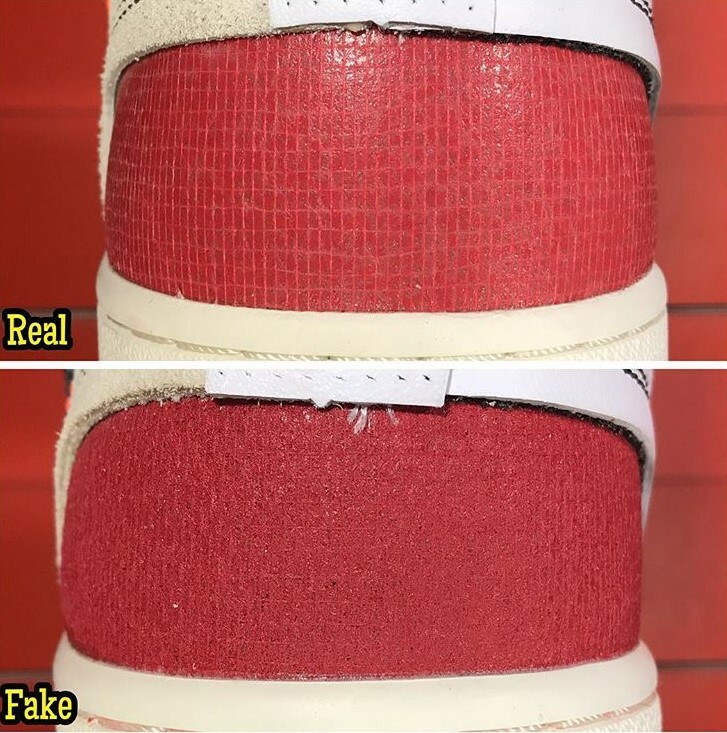 For the real pairs, you may observe the symmetrical aesthetics and texture of the material used which differs from the fake pair which does not have a particular pattern. Based on photo 9, you may observe that the real pair’s Swoosh does not exceed the stitching as pointed in the photo. The Swoosh on the real pair has an observable distance from the midsole compared to the fake as seen in photo 10. However, even some retail pairs are inconsistent when it comes to the length and placement of the Swoosh which makes this method an unreliable method, but is still helpful as a pointer. This would be easier to spot as the real pair has a cream tint to its insoles, while the fake insoles have a blue tint to it. 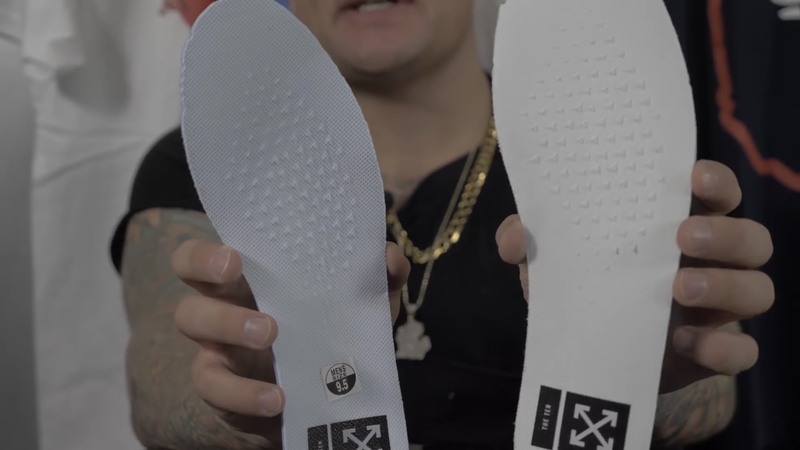 The grooves on the real pair’s insole have a more prominent, distinct pyramidical shape compared to the fake pair’s insoles that have inconsistent grooves with non-distinct shapes. 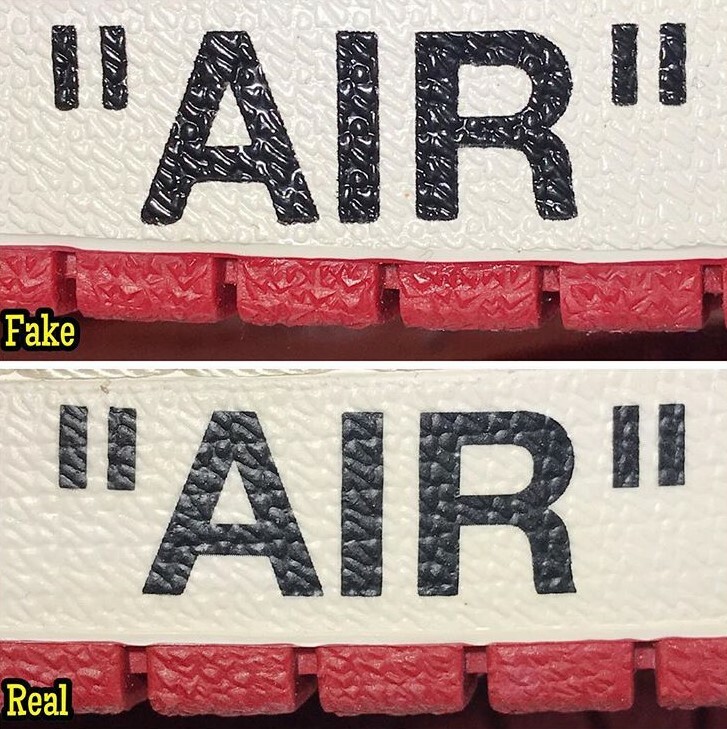 This is an easy way to detect a fake which is through the pair’s hangtag. 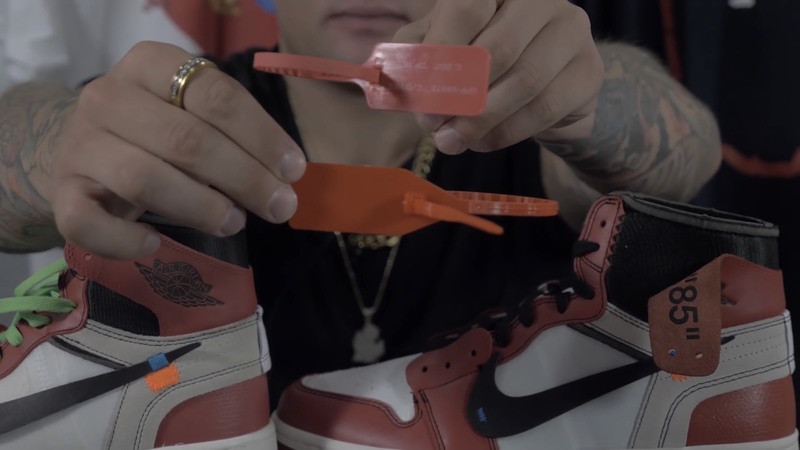 The real pair’s hangtag has a darker red shade while the fake has an orange shade hangtag. 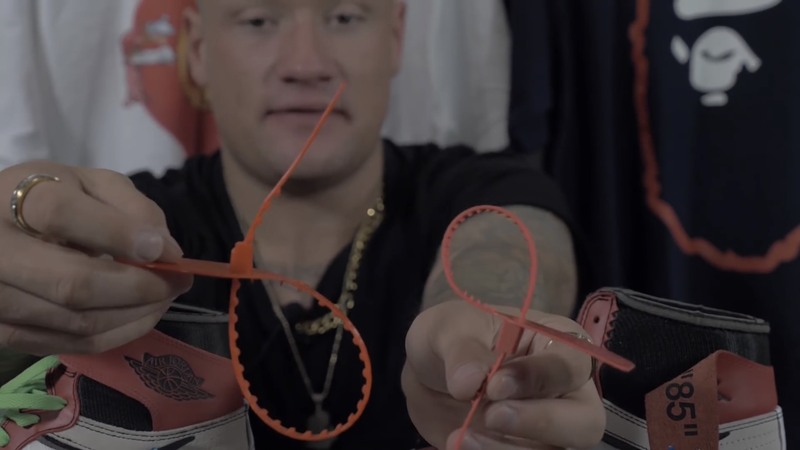 The fake pair’s hangtag has a bigger circumference compared to the real one as seen in photo 13. Other few things that you should look out for when legit checking this pair is whether the extra laces come in small plastic bags and the stitching on the shoe. 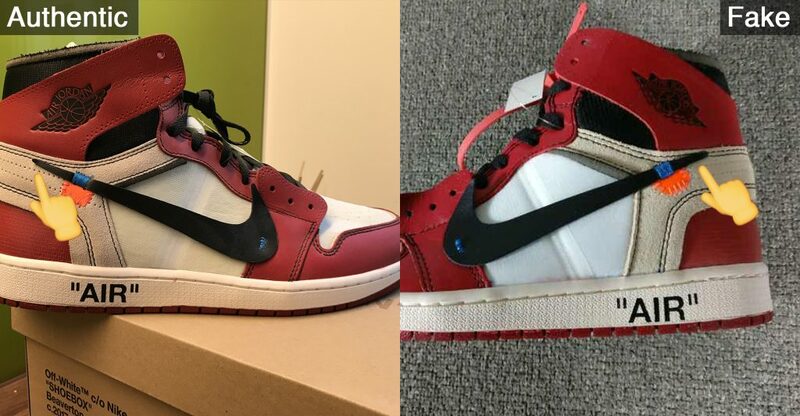 If there are small plastic bags carrying the extra laces, it is confirmed a fake and if the stitching on the shoes looks half done (similar to the perforations), or inconsistent, the pair is fake as well. Now, you can go out there and be the Hypebeast you want to be, without worrying about being scammed when you’re packed with knowledge. However, do take into account that these methods are not 100% reliable but is enough to determine a fake when observed properly. All the best, Hypebeast!